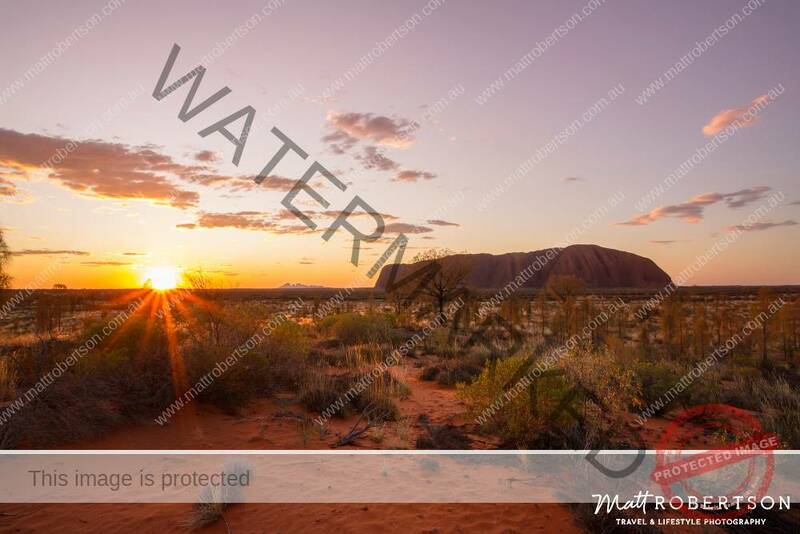 ULURU, famous for being a very big rock, but its not until you are driving through the gates of the Uluru–kata Tjuta National Park that you truly realise how massive it is. Photos don’t do it justice at all. 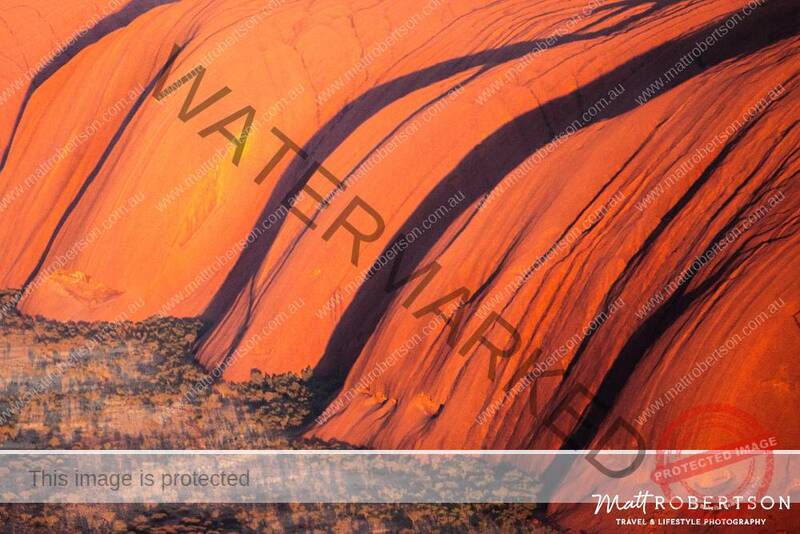 So everyone knows that its a massive rock, but what makes Uluru so special? 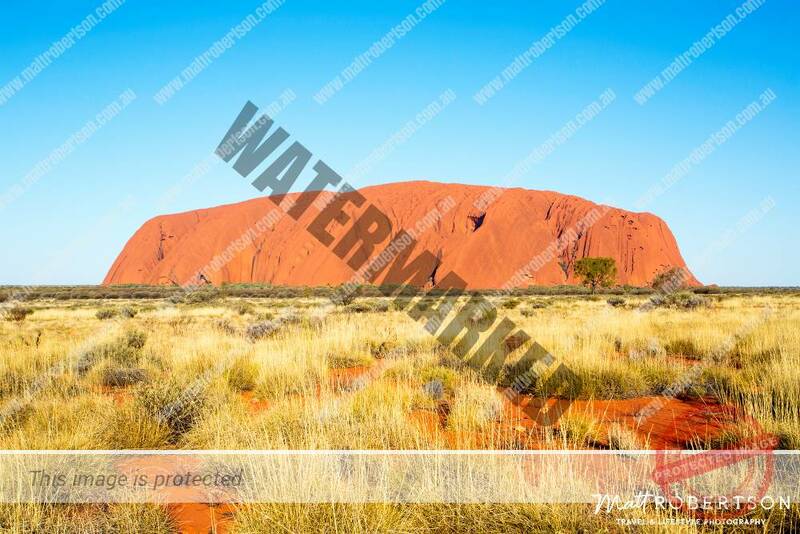 Well here are some facts about Uluru, its a sandstone monolith in the heart of Australia’s Red Centre, it is 450km from the nearest large town, Alice Springs. 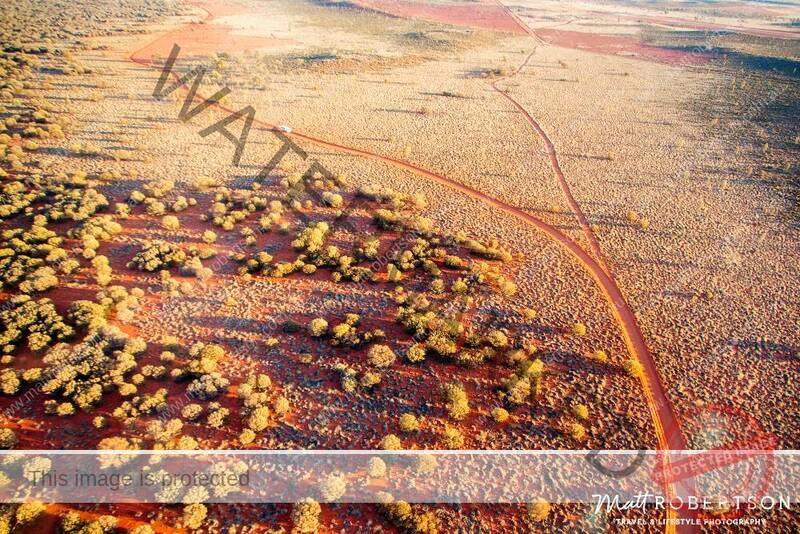 Thats a lot of desert in every direction! 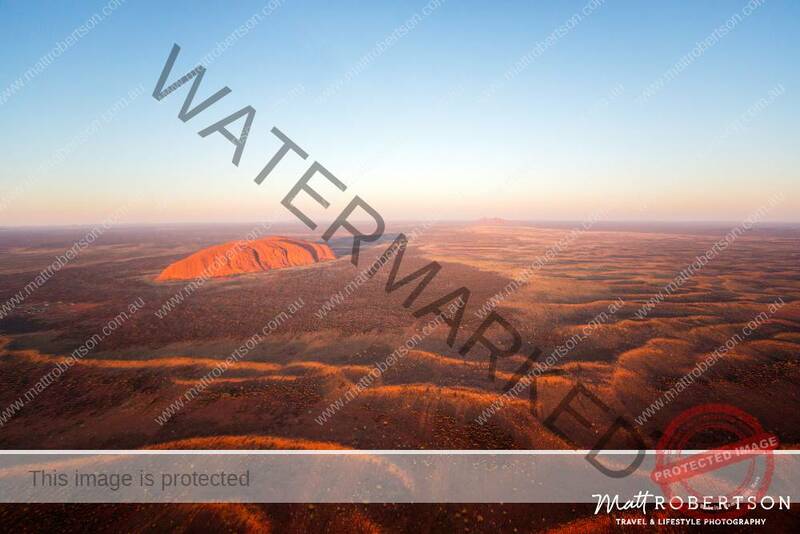 Amazingly it originally sat at the bottom of a sea, but today stands 348m above ground, but I think that one of the most amazing facts about Uluru and one of the least known is how there is about 2.5kms of its bulk underground. 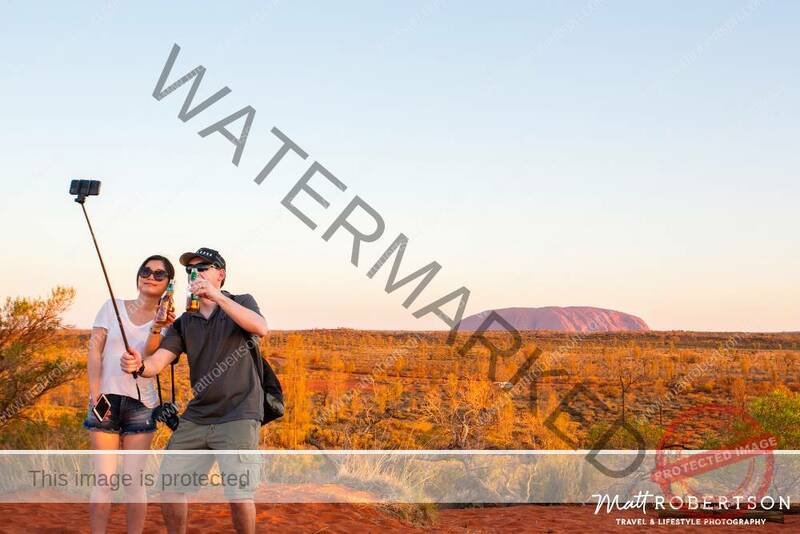 So all of this sounds impressive but I think the reason why Uluru is so popular is the experience people have there, a lot of people say it is life changing and I have to agree with them. I went there on my own and apart from the flies, it was one of the most peaceful places I have ever been. Walking around the base of the rock while its still dark is a unique and special experience, the sound the wind makes as it blows through the trees that surround the rock and the isolation of the place is all very calming. 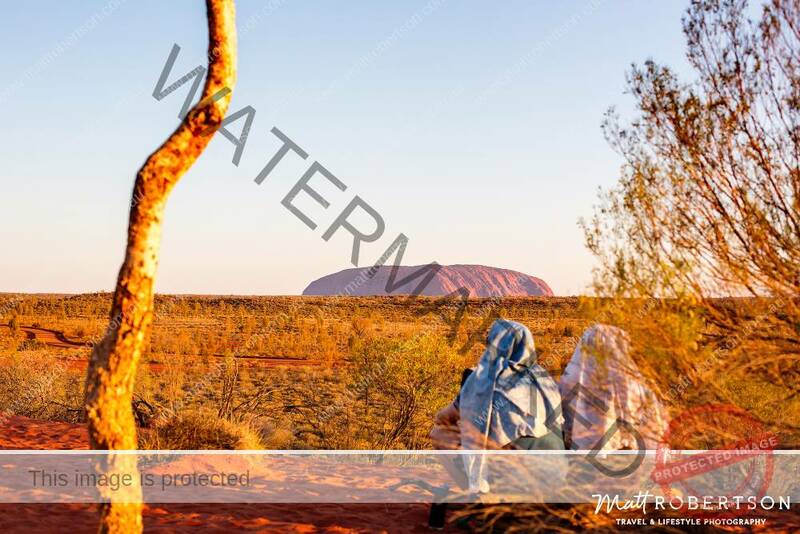 Uluru has been a spiritual home for the local Anangu people for thousands of years, it is were they lived their every day lives, its the place they told dream time stories and it is where they passed on thier culture. They went to school there and it’s where they learnt to live off the land. 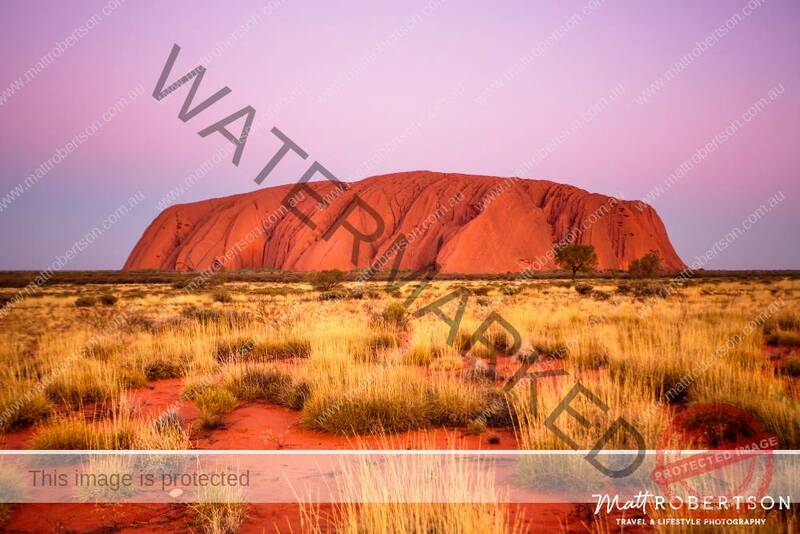 As a photographer the area is amazing, the red sand that sparkles when the sun is low in the sky, as well as the colour changes of Uluru as the sun sets, even well after the sun has drifted beneath the horizon it still changes from pinks to purples and once everything has gone dark thats when the stars light up the sky. I have never seen so many stars before, its crazy! 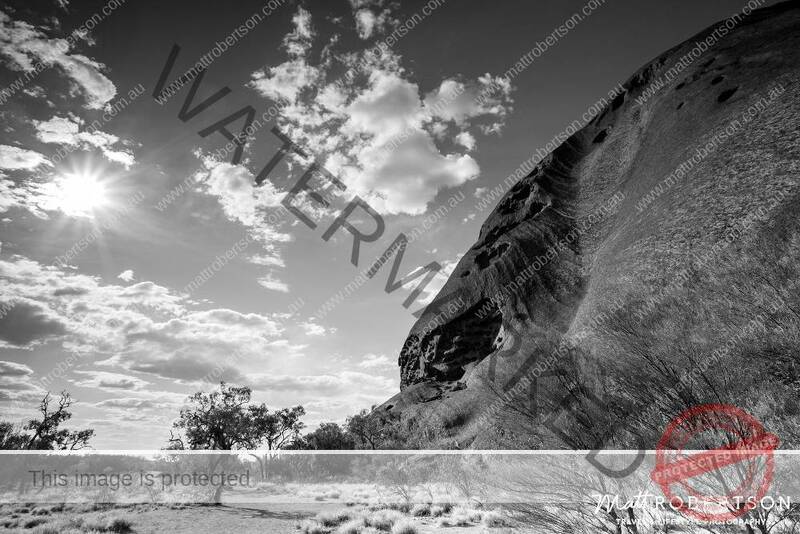 Apart from buying a fly mask the biggest tip I could give you is to take in all the little details, every mark and carving on the rock, the way the changing light through out the day and afternoon change the look of the rock and the different moods, listen to the wind as it blows through the grass and shrubs that surround you. Soak it all in! 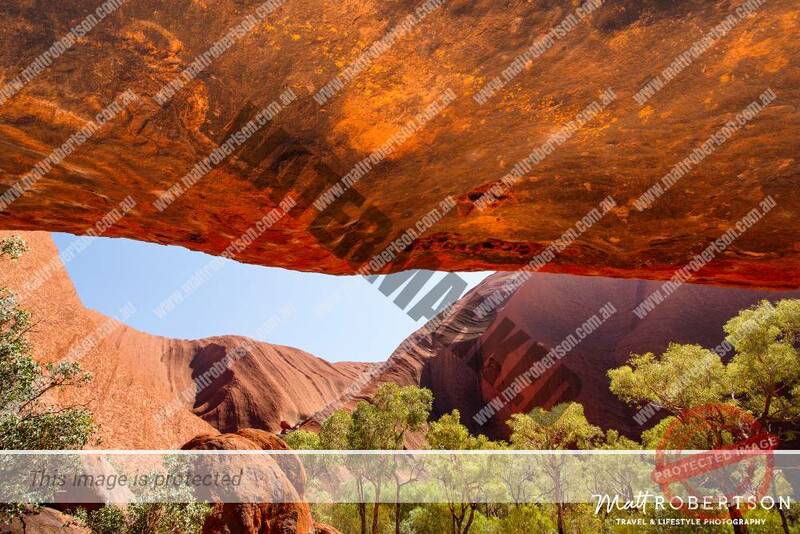 Take a guided tour around the base of the rock, the guide will tell you everything you need to know about the history and the cultural side of the rock, you will hear the creation story and how the native Anangu people lived around Uluru and how their community worked. 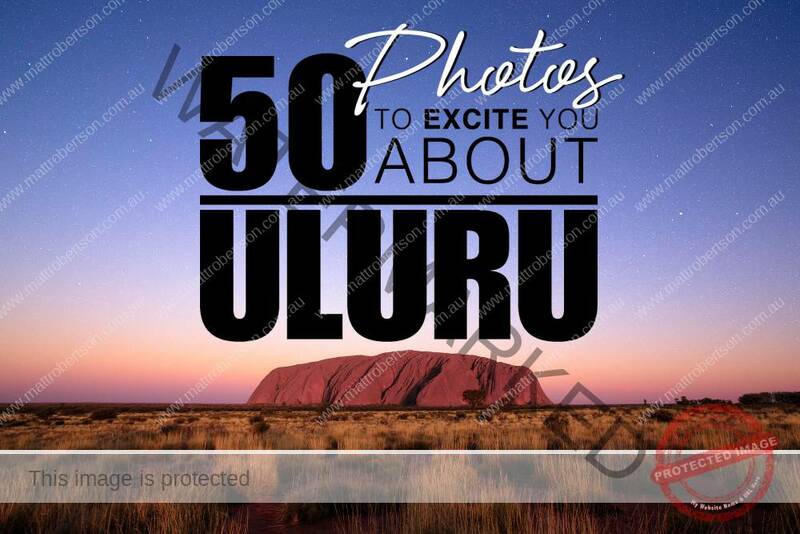 Now for the reason I went to Uluru, Taking photos and promoting amazing locations. 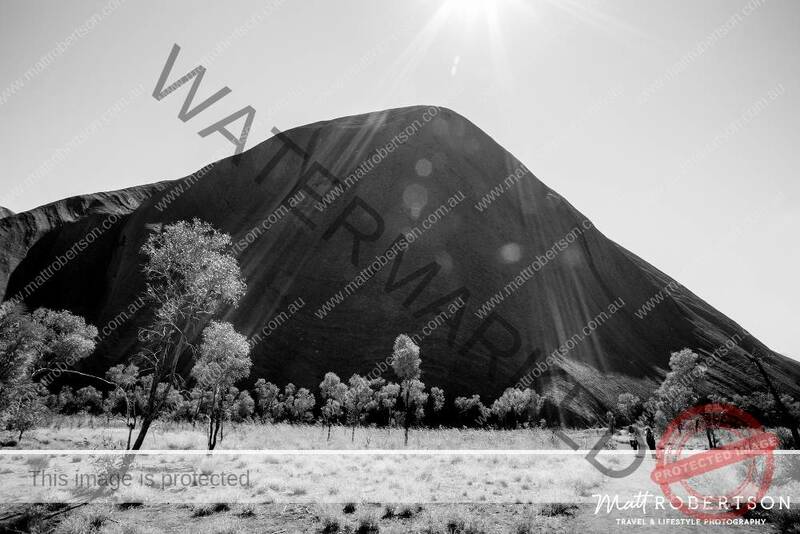 I hope these following images of Uluru inspire you to visit one day, or that the remind you of the amazing time you spent there. 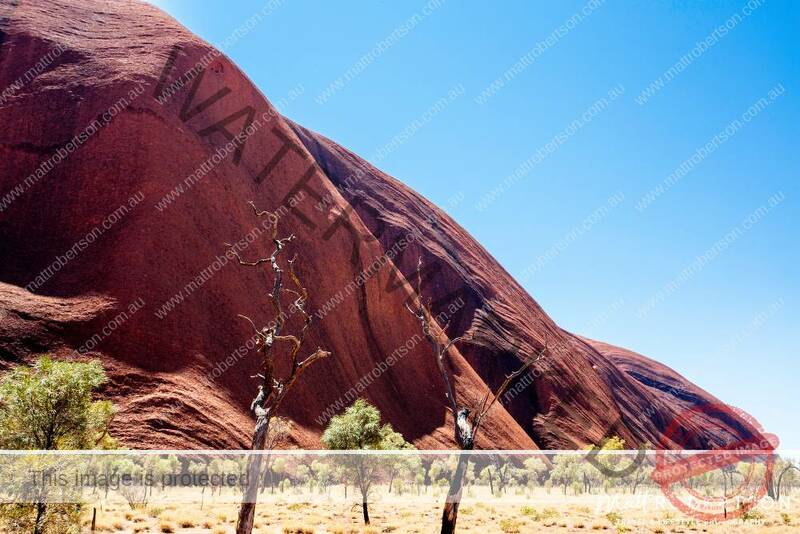 Feel free to leave comments and share your experiences at Uluru! 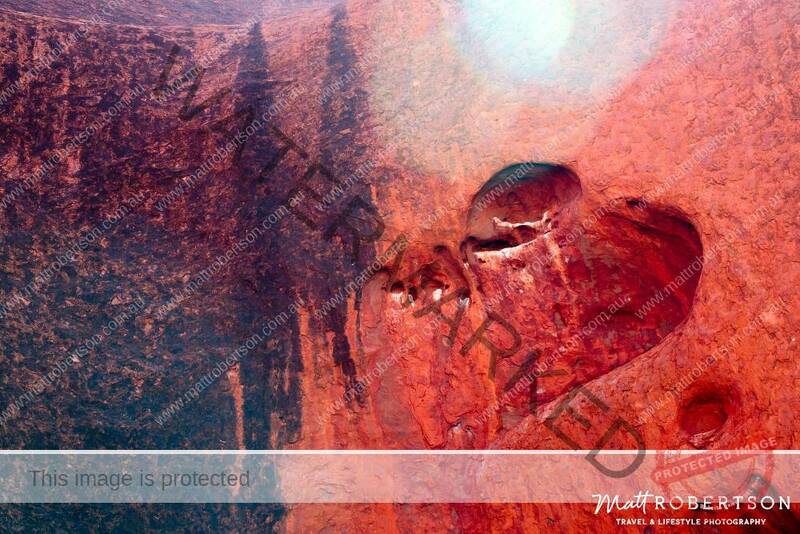 Now I want you to come explore Uluru with me, through my eyes. 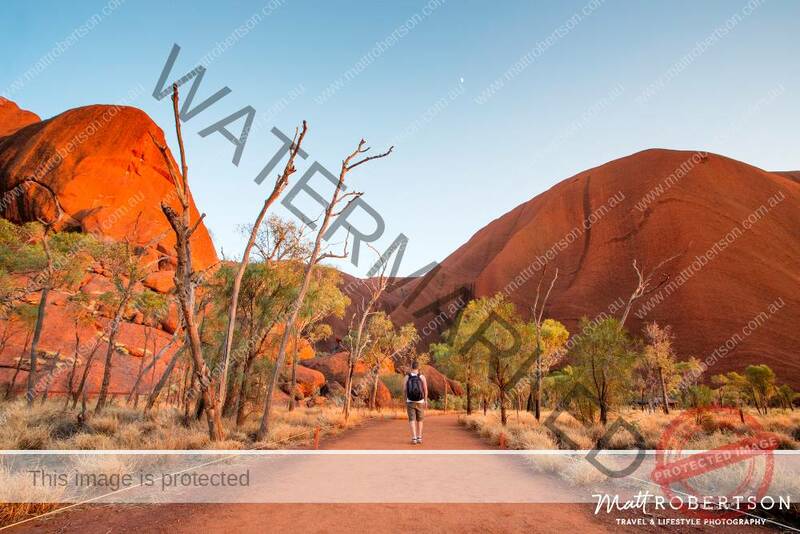 Walking towards Mutitjula Waterhole at first light. 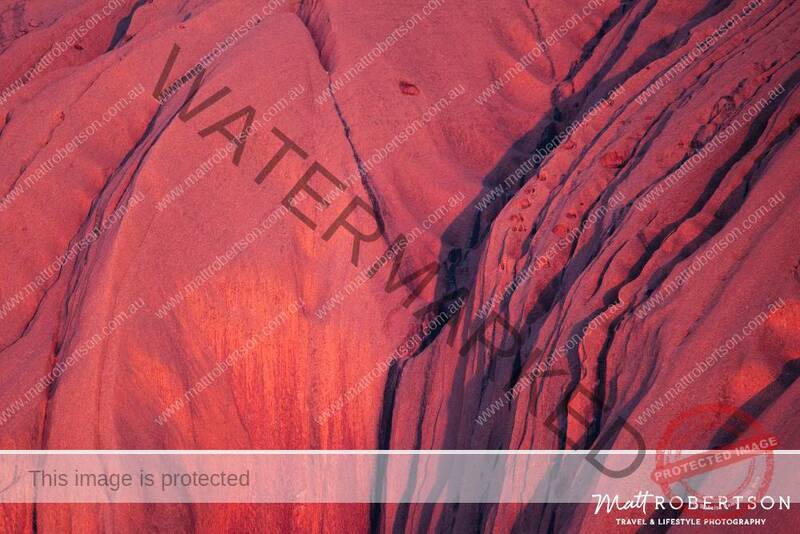 The south side of Uluru bathed in the light as the sun rises. 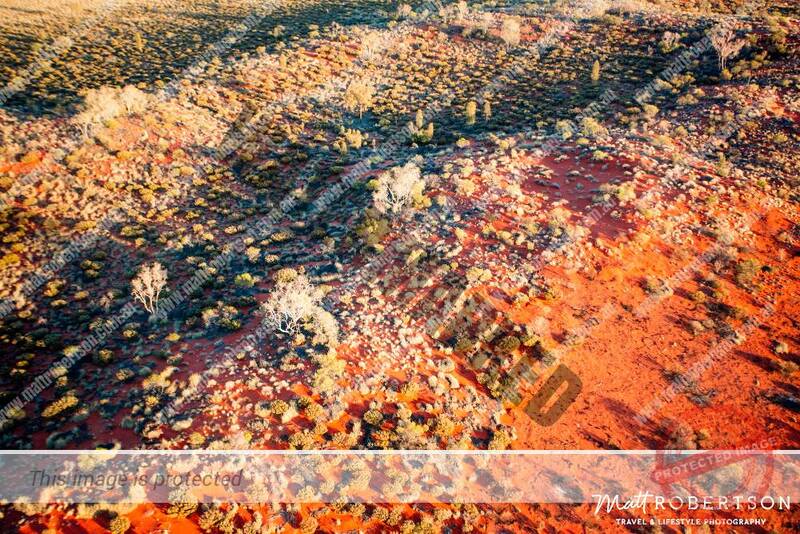 A birds eye view of the south side of Uluru. All cameras are ready and firing for the sunrise. 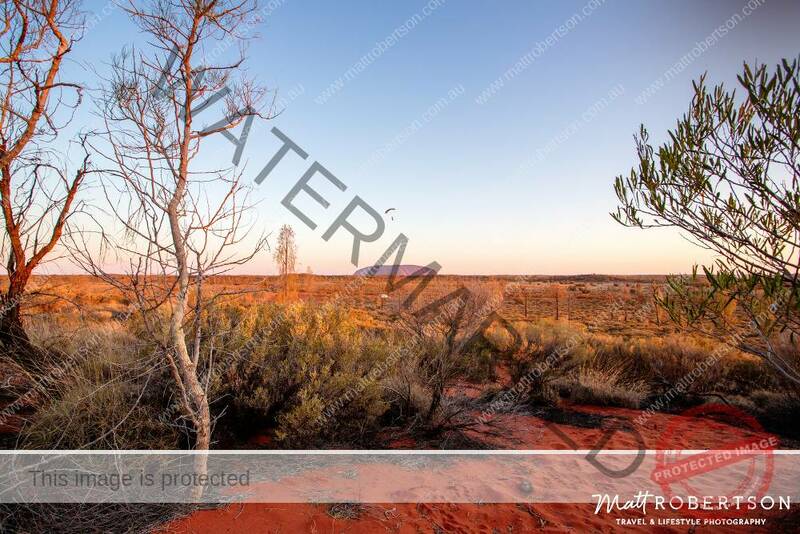 The view of the sunrise from the Mutitjula Water Hole track as it glows through the tress. 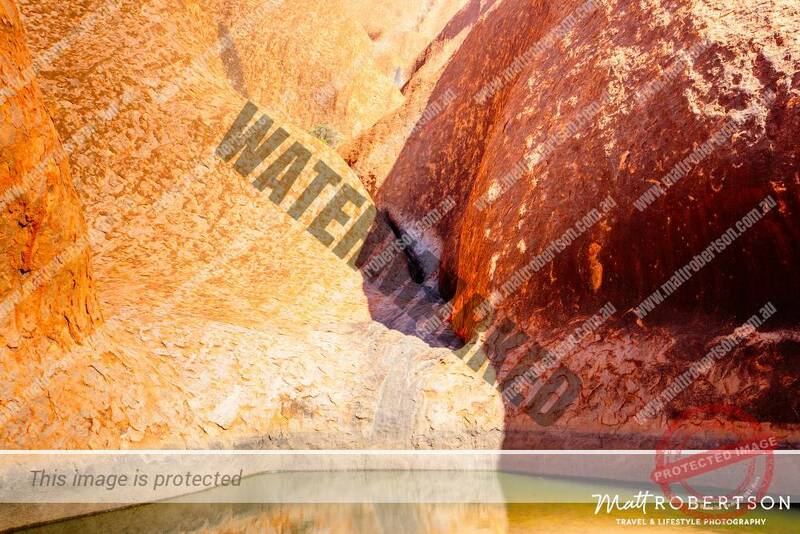 Maggies heart at Mutitjula Water Hole. 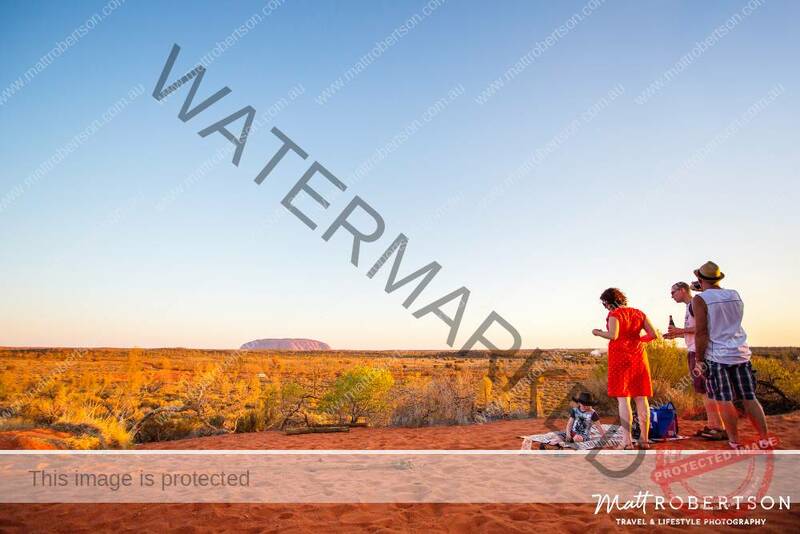 The view from the Kata Tjuta dune viewing area. 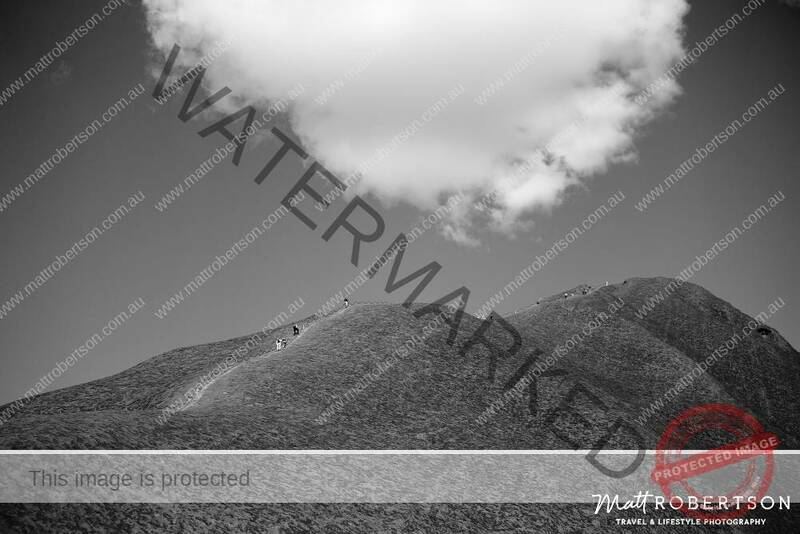 You need to fit a Helicopter flight into your budget, you wont regret it!! 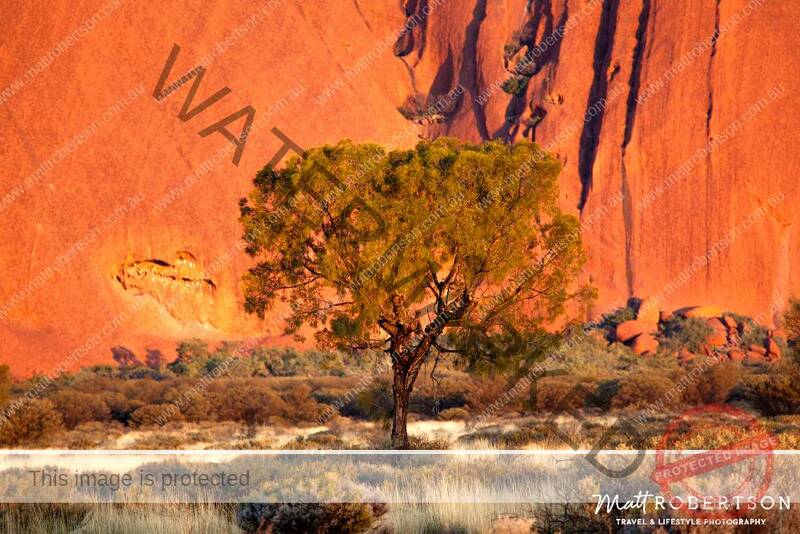 The Anangu people would have seen this view for thousands of years. 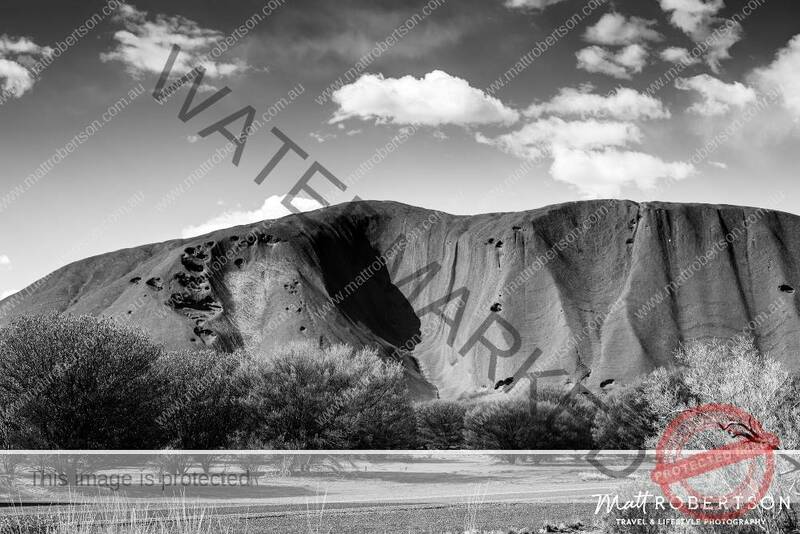 The veins that run through the outback surrounding Uluru. 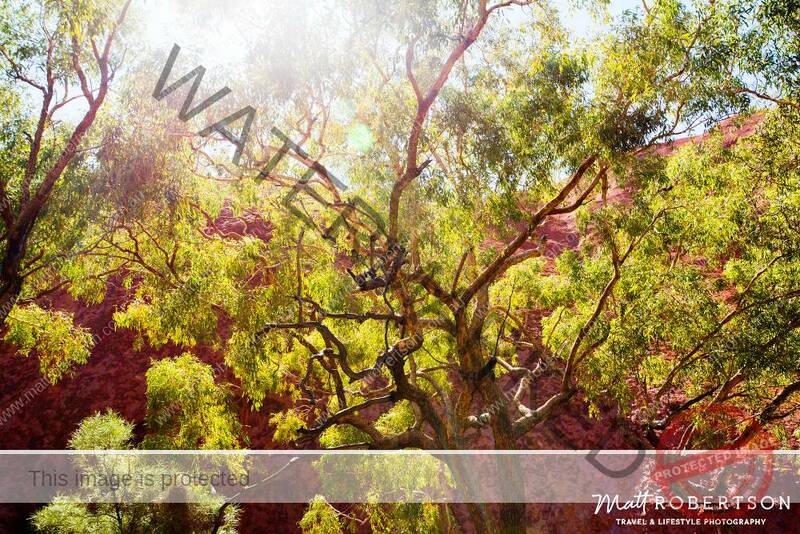 I love the Ghost Gums around the Mutitjula walking track. 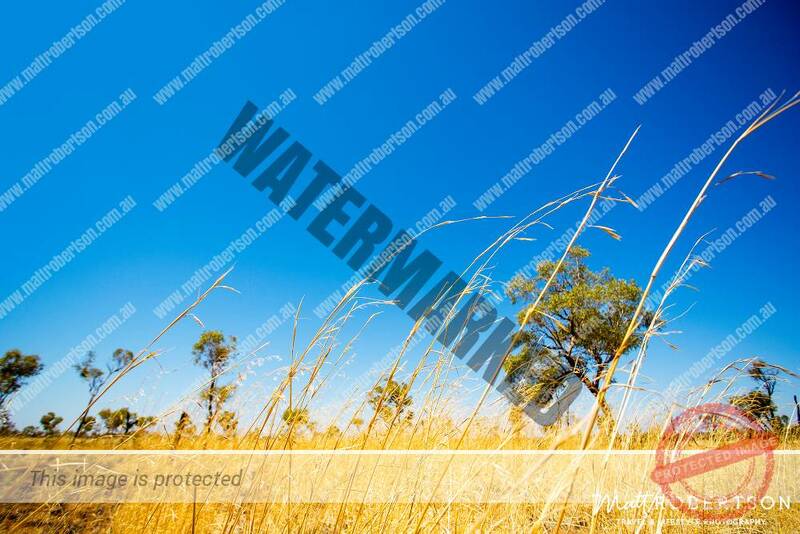 Make sure you take water and a hat when doing the base walk as it gets hot, really Hot! Fire management programs take place in the months of July through to September. 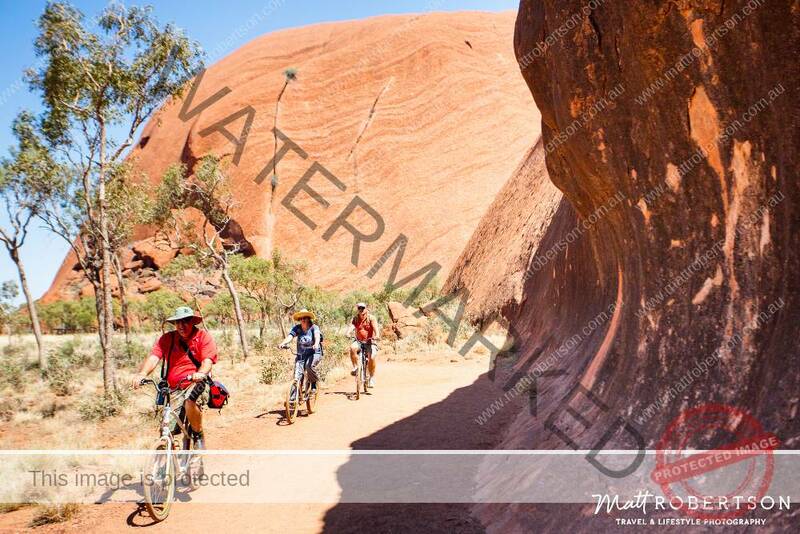 Bikes are a great way to explore the base of Uluru, and its a lot faster. 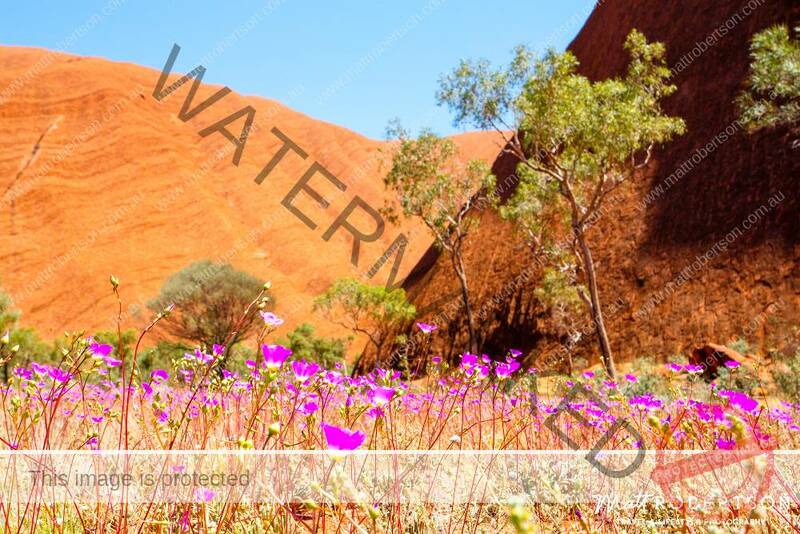 Wild flowers around the base of Uluru. 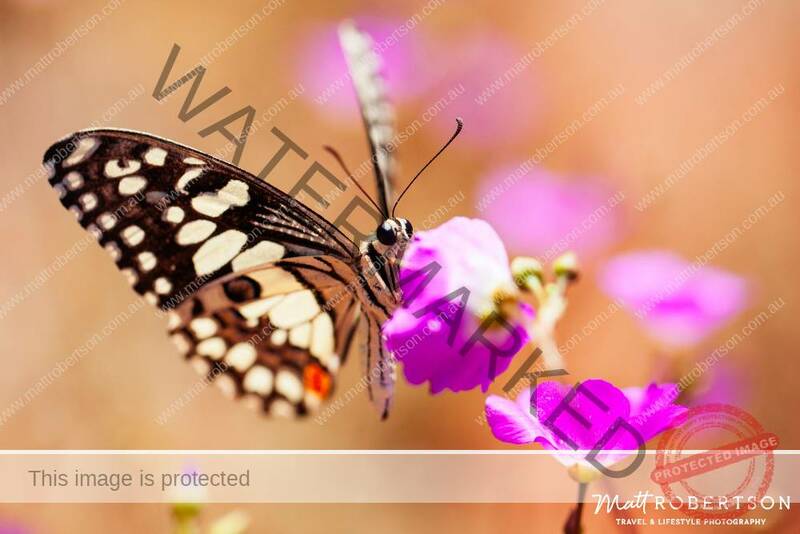 Butterfly’s were every where on this particular morning, enjoying the Springtime flowers. I had perfect weather like this everyday I was there. 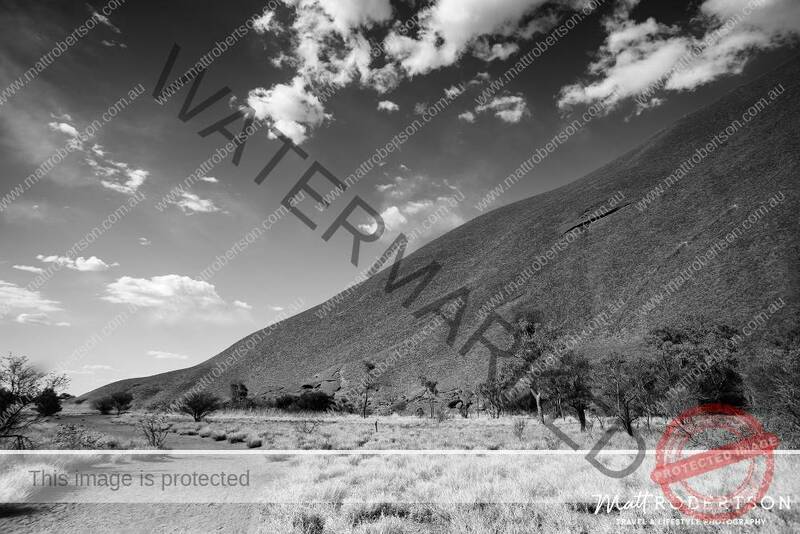 A view from the side of the road, pinching myself that I am really here! 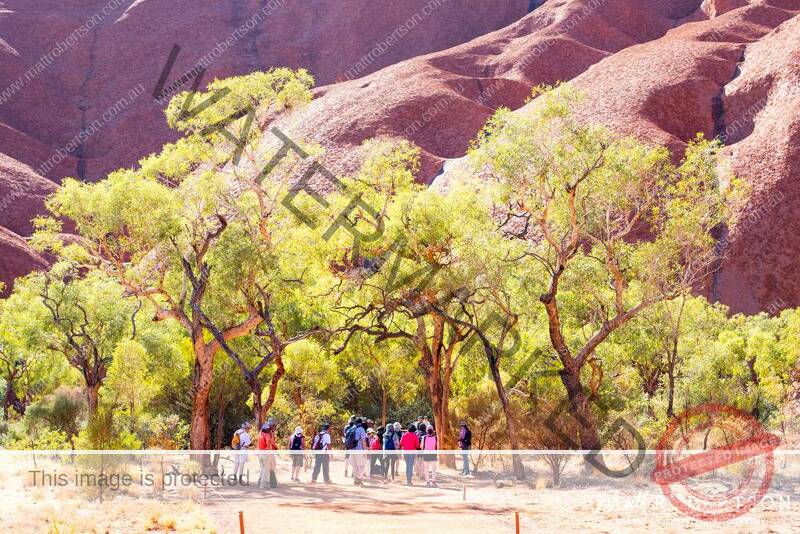 A tour taking place with a local Aboriginal Guide on the Mala walk. 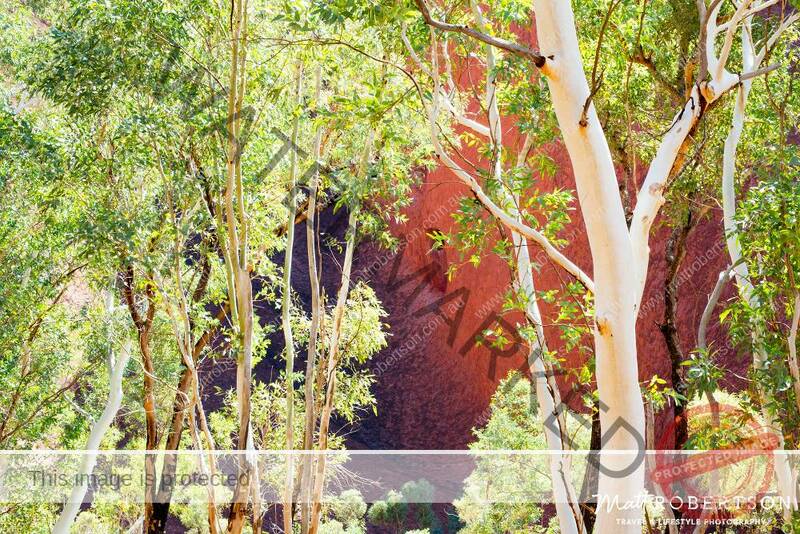 Green trees along the Mala walk at the base of Uluru. 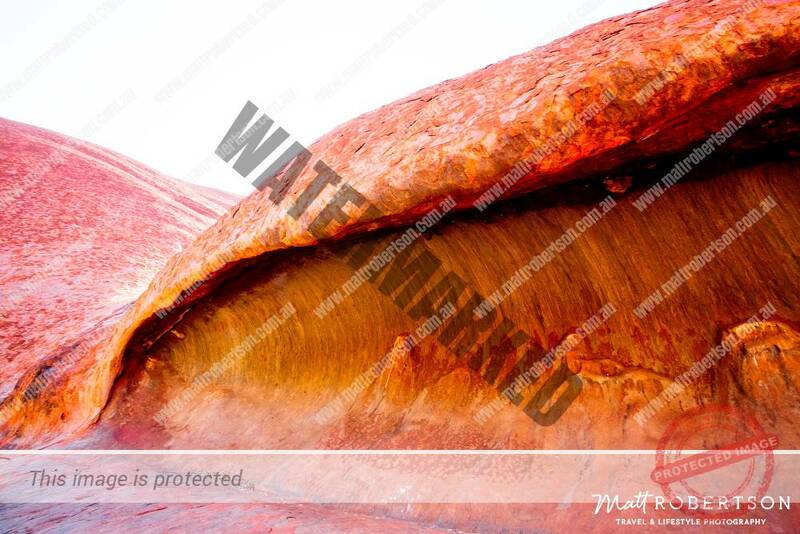 One of the most amazing caves I have ever seen, I call it ‘the Wave’! 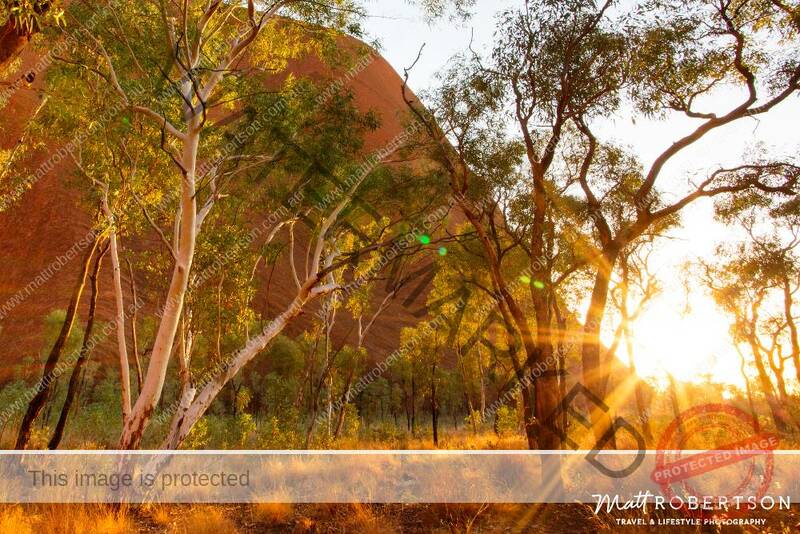 You can see why the local Anangu people have called Uluru home for thousands of years. 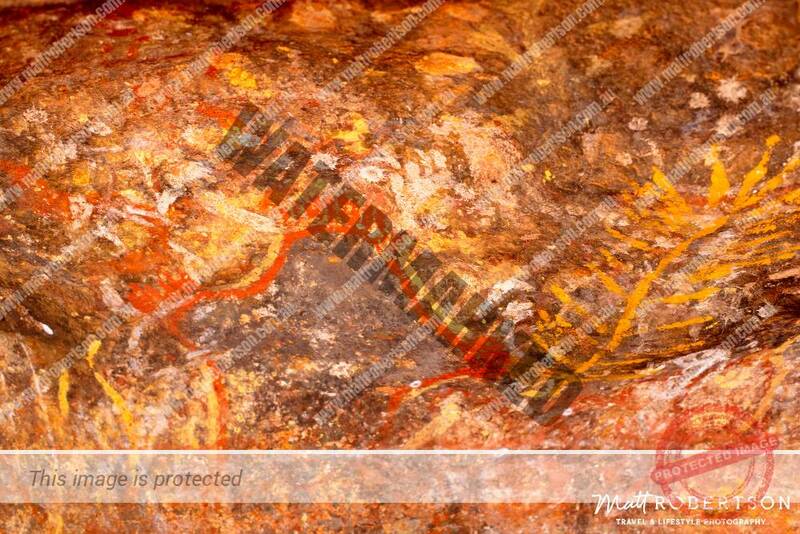 Bright ancient Aboriginal cave paintings. 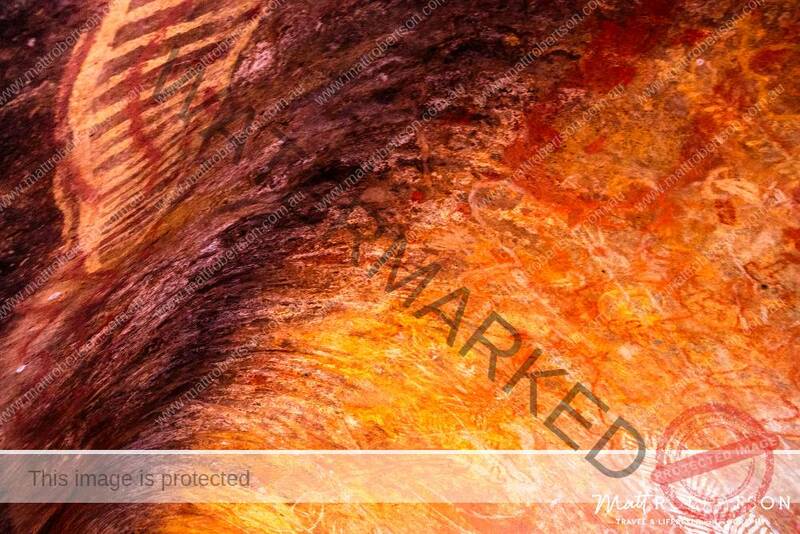 The creation story being told, in a cave that was once the Kitchen area for the local people. 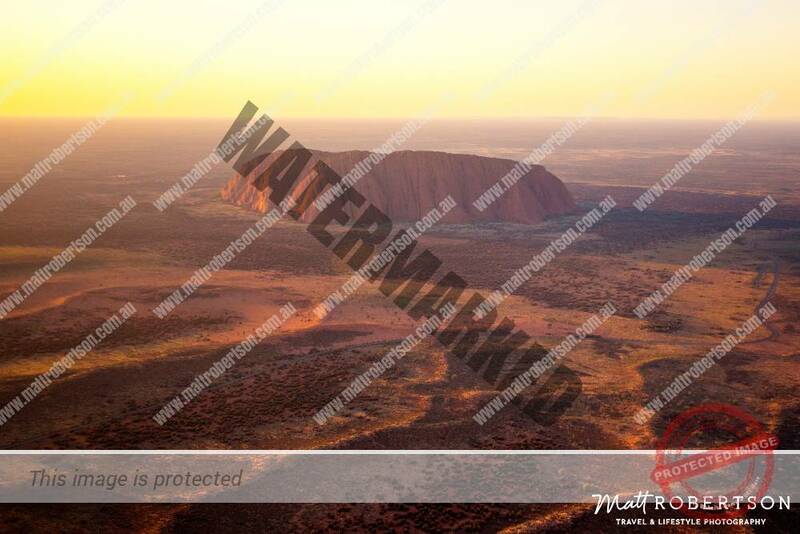 The land where time began in the Dreamtime. 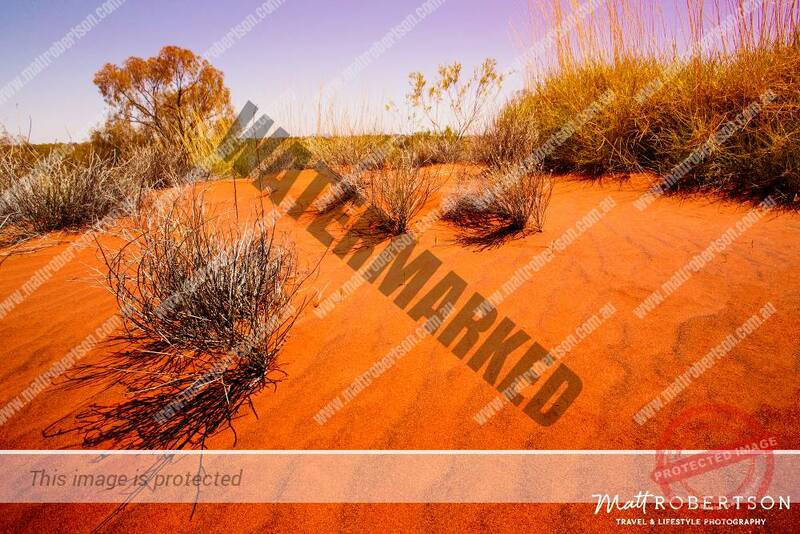 The red earth at the heart of Australia. 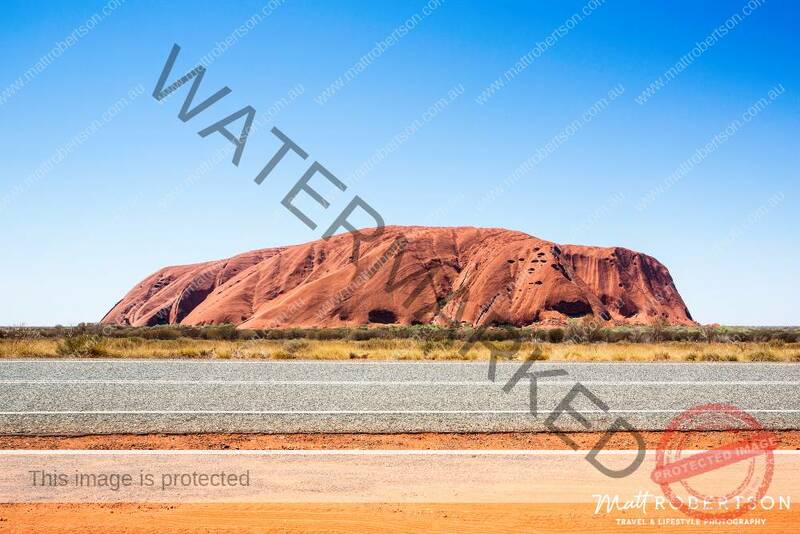 This road circles around Uluru and gives you a fast way to see it all in a short time. 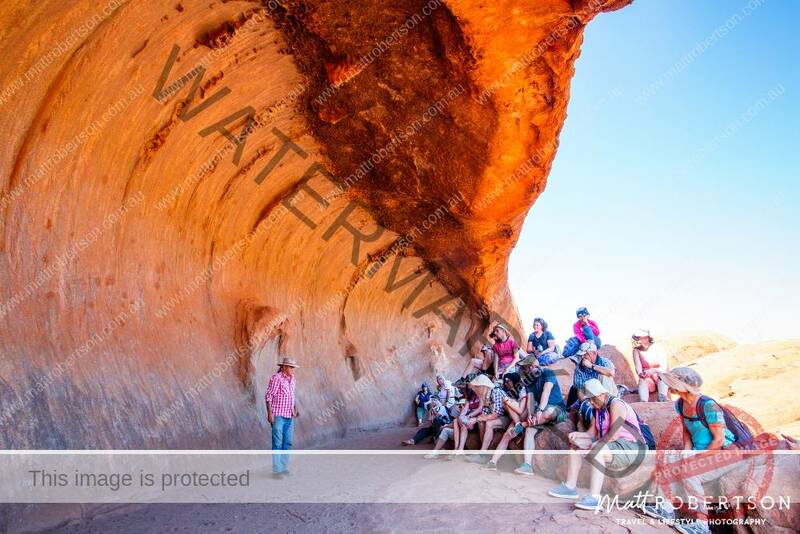 Another popular way to explore Uluru is by camel. 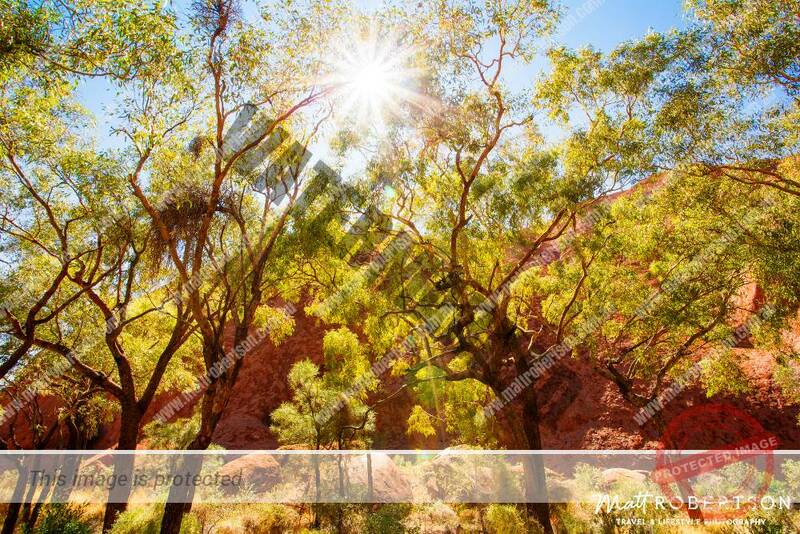 As the suns shifts through the sky the different areas come to life. 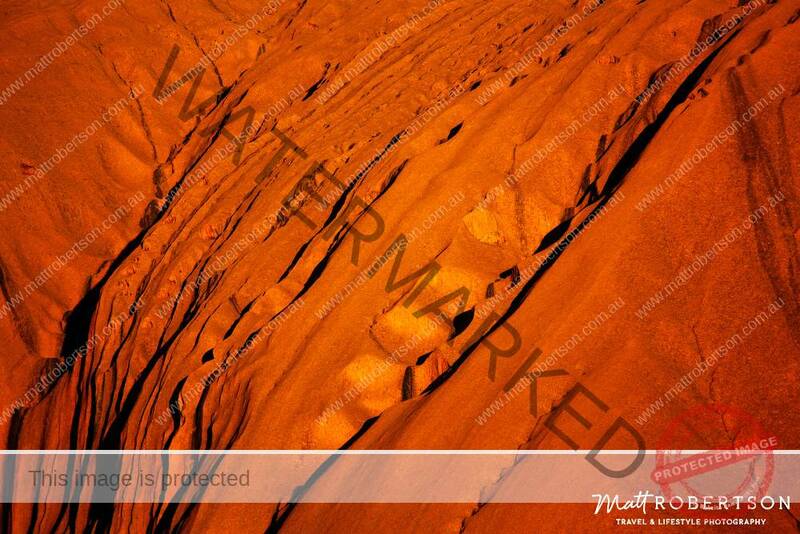 The little white spec on the rock line up the top corner is a person. 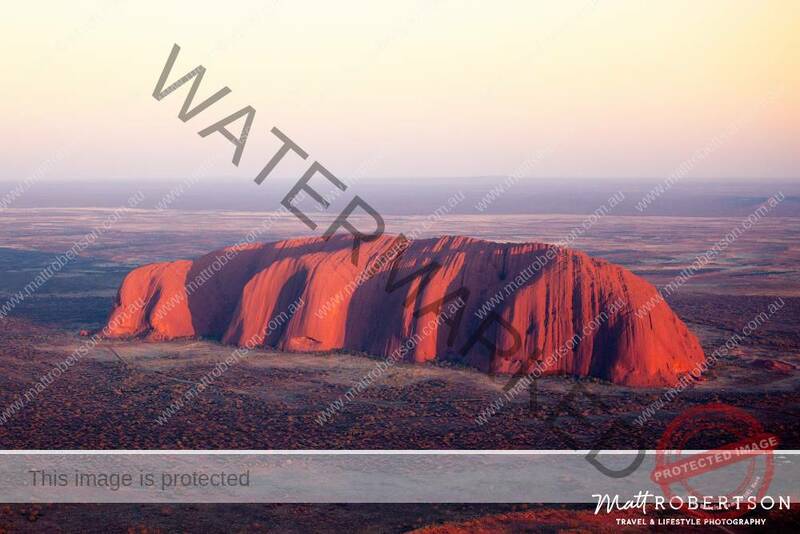 The Owners of Uluru don’t want you to climb it – so don’t climb it, be respectful!! 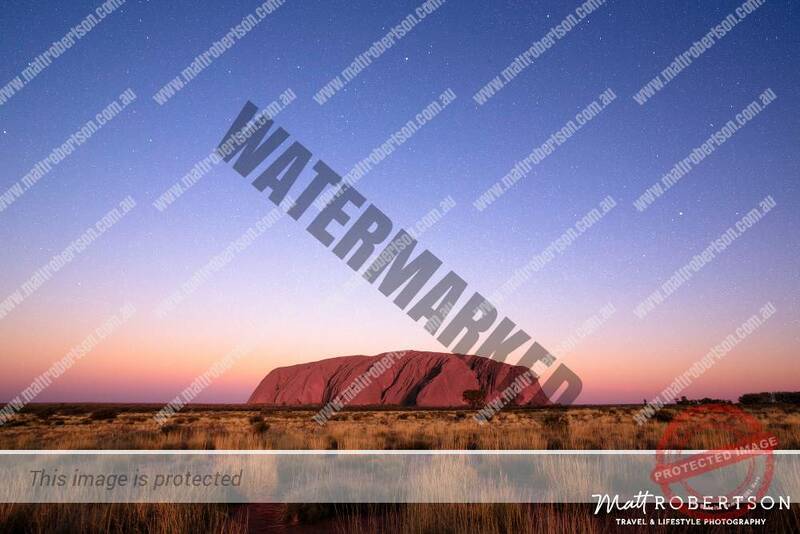 Getting ready for the colour changes from the Sunset viewing area. 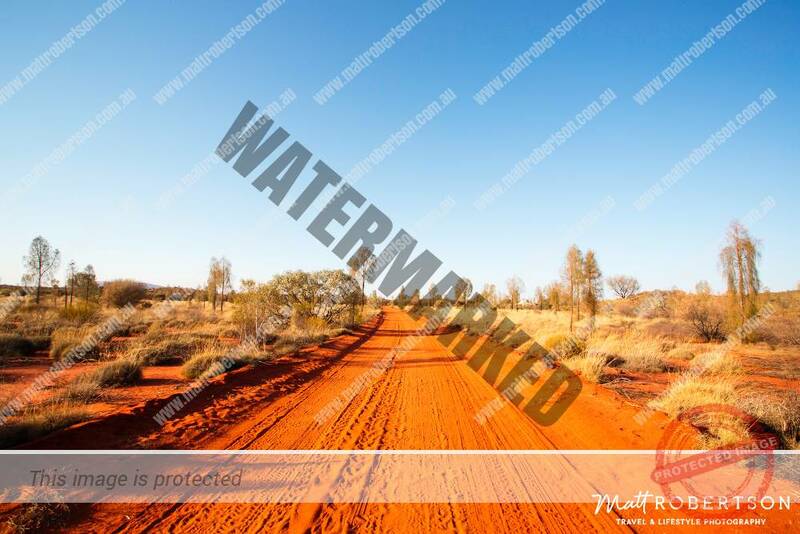 The red dirt roads in the area. Explore other tracks to find different view points. 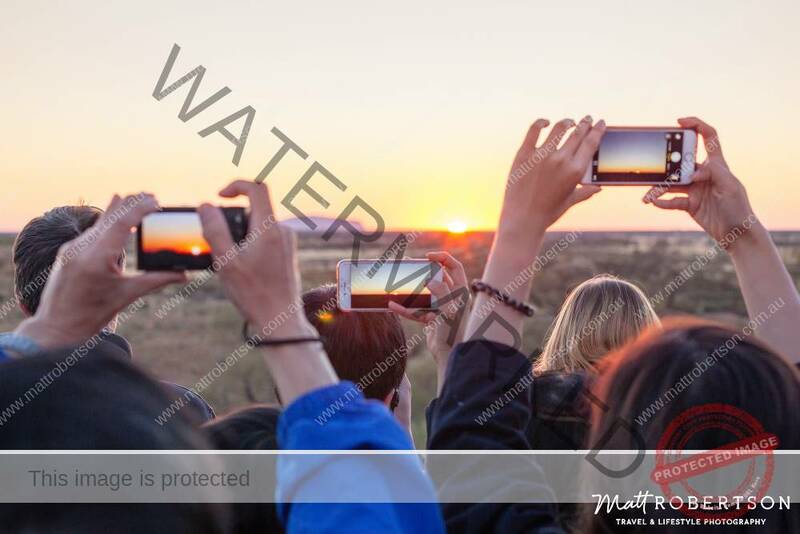 Take a selfie at sunset. 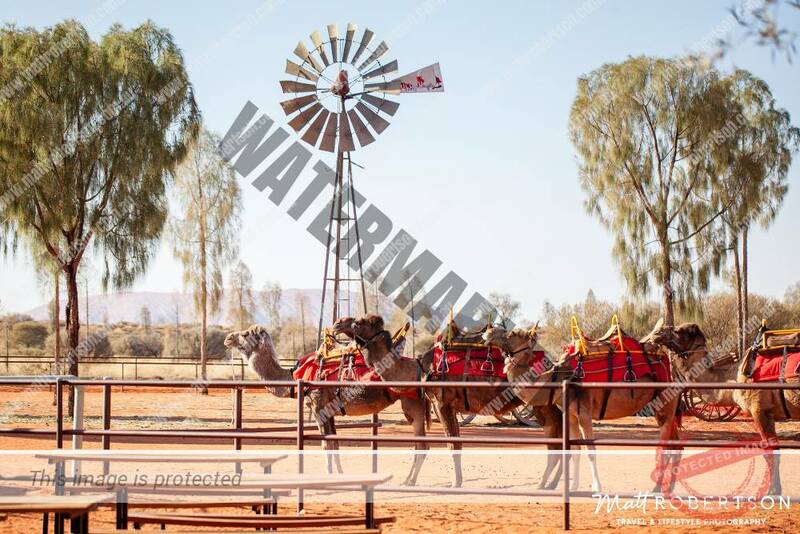 Or have a picnic away from the crowds. Watch the sunset as you jump out of a plane! Or just quietly take it all in. The sandstone glows as the sun sets, while the grass and leaves whistle in the wind. 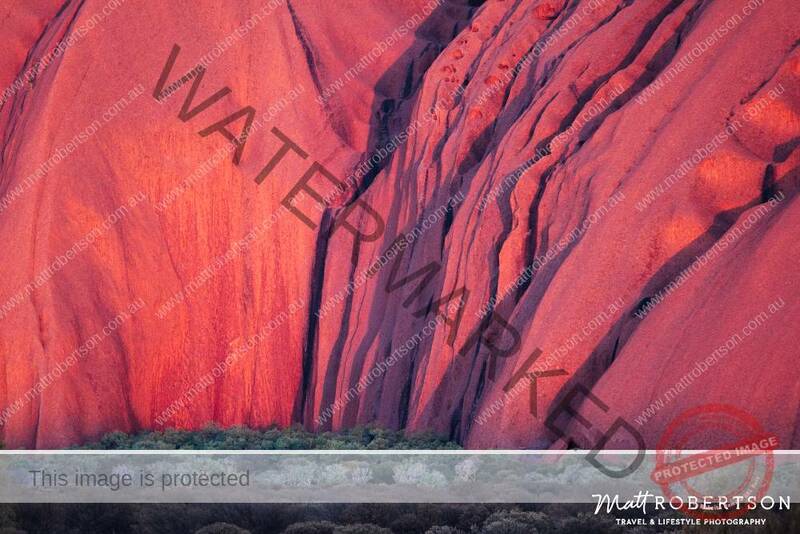 Shadow and light creates magic as Uluru glows in the setting sun. 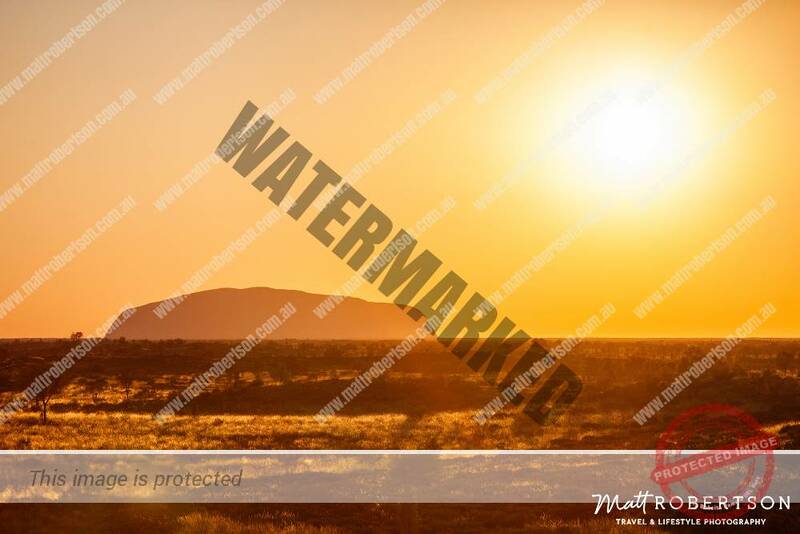 The sunset from the Sunrise viewing area, you can see Kata Tjuta in the distance. The sky turns pinks and purples as dusk sets it. Golds and reds turn to pinks as the sun disappears over the horizon. 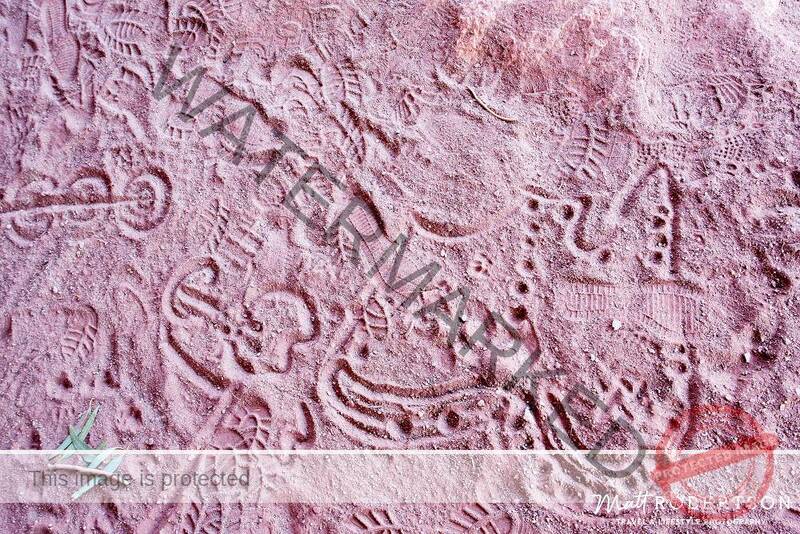 It’s amazing what you can witness in nature every day! The night takes over and the stars begin to fill the sky. 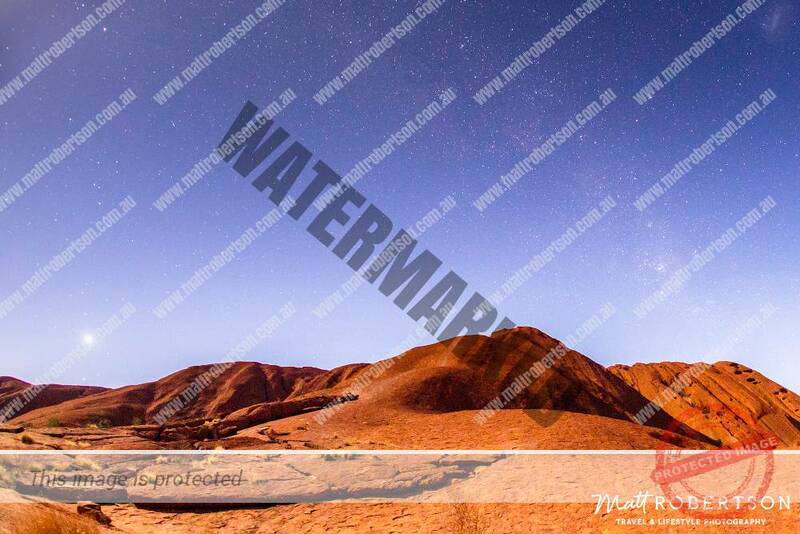 You would be forgiven for thinking you are on another planet. 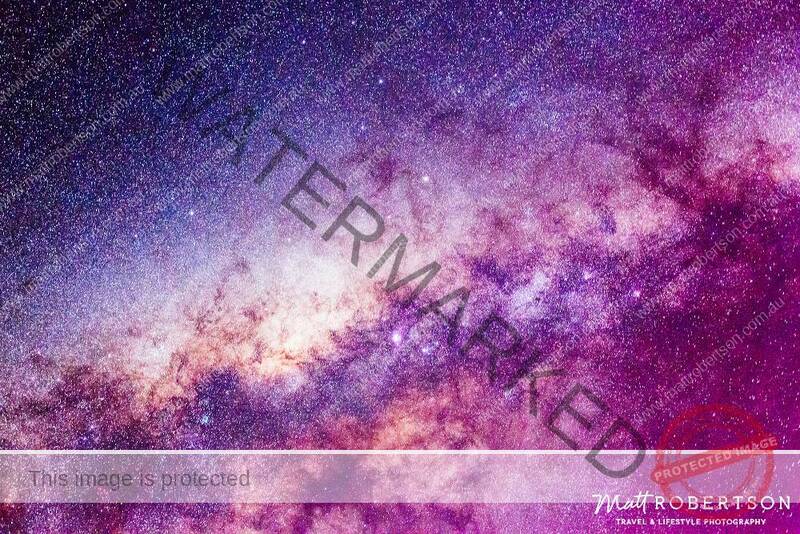 Now stare up into the Cosmos and get lost in the billions or stars above you. Thanks and feel free to leave feedback in the comments section below.